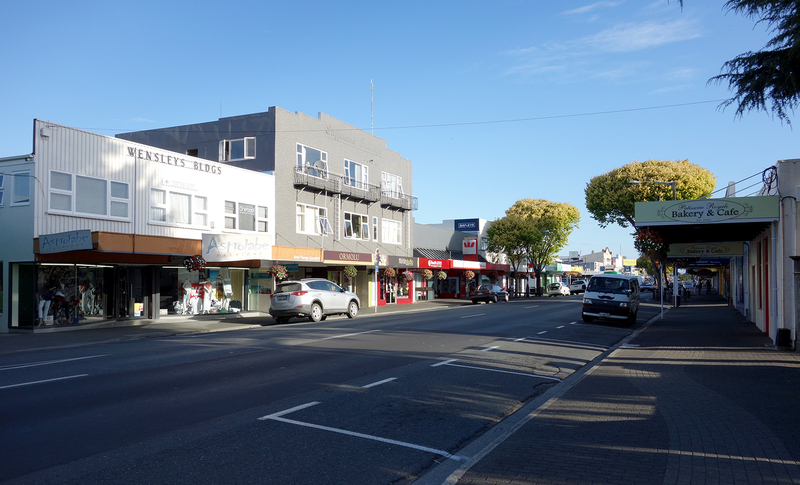 After Stewart Island, my favorite place in New Zealand was the sleepy town of Motueka, about 30 minutes north of Nelson on the South Island. The area is famous for being the sunniest in New Zealand with lots of beaches and kayaking in nearby Abel Tasman National Park. It is also a major center of apple orchards and hops farms, attracting a diverse group of backpackers and foreigners who come to earn money picking fruit. We stayed in a beach-front studio apartment near the marina. 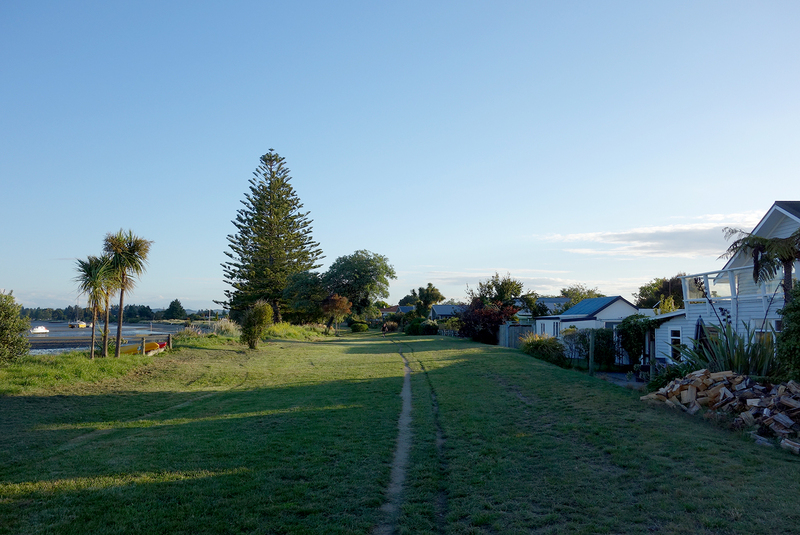 A walking path behind the house connects you to town and the sand dunes further up. 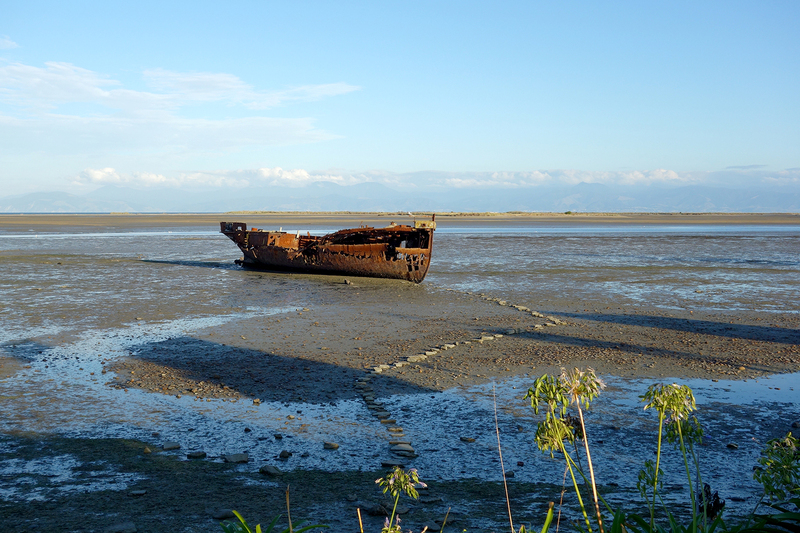 At low tide, the beach dries up almost entirely, exposing a shipwreck that seems to be a fun (and very rusty) place for children to play. 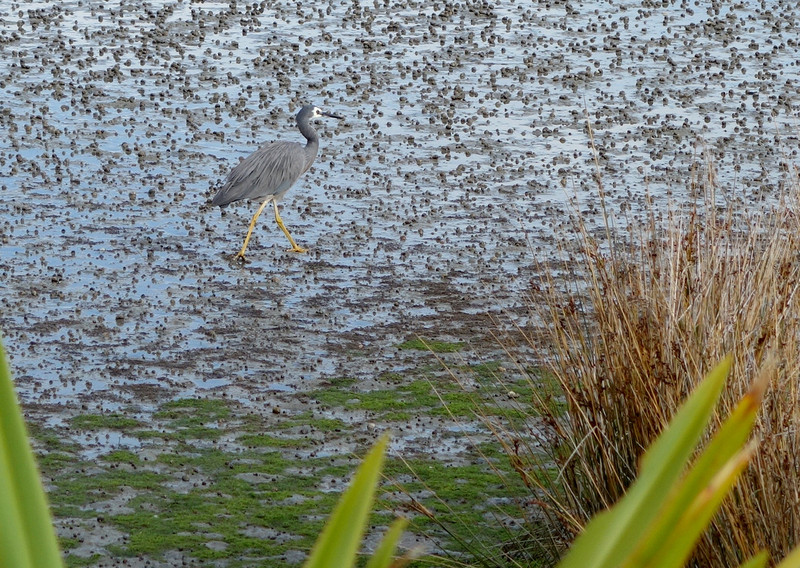 Lots of pretty grey herons come out to explore during low tide, too. There’s a solid downtown with lots of bakeries, cafes and shops…that all close at the impossibly early hour of 4:30. 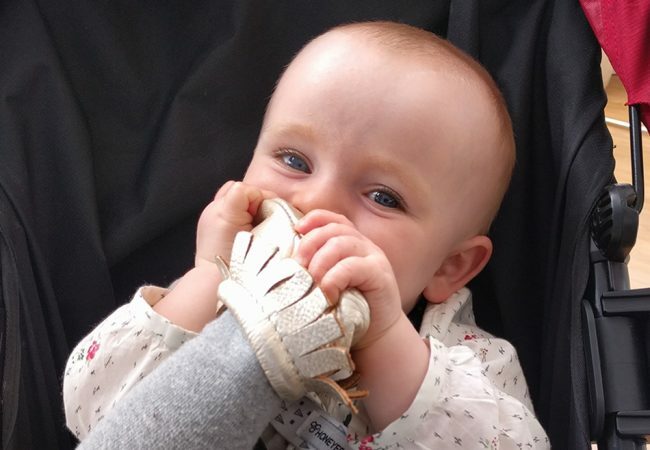 My favorite was Church Lane, which had cute non-wool baby clothes in a modern setting. 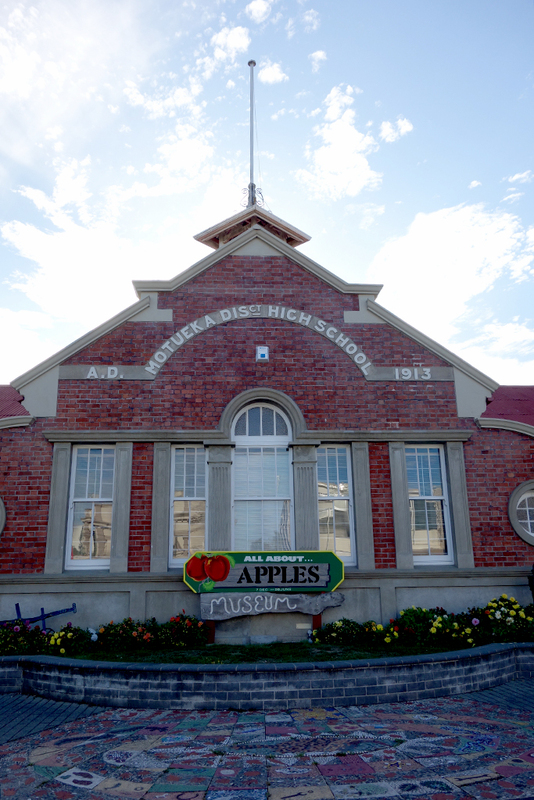 The former high school on the high street has been turned into a museum about apples. 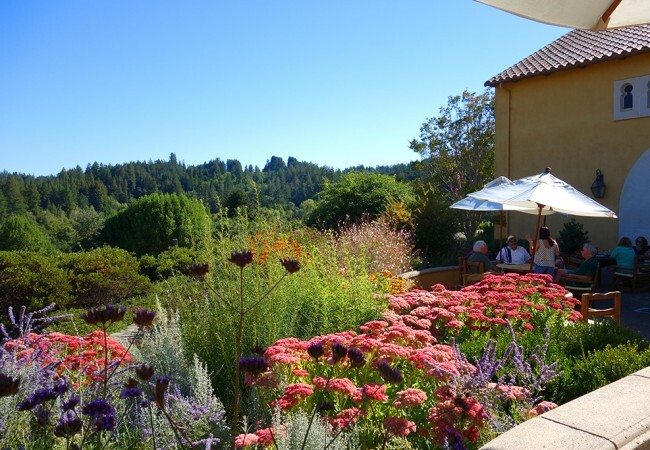 Our favorite cafe (which closed even earlier at 4:00) was Up the Garden Path – which had delicious food, pastries, coffee and even fast wifi. 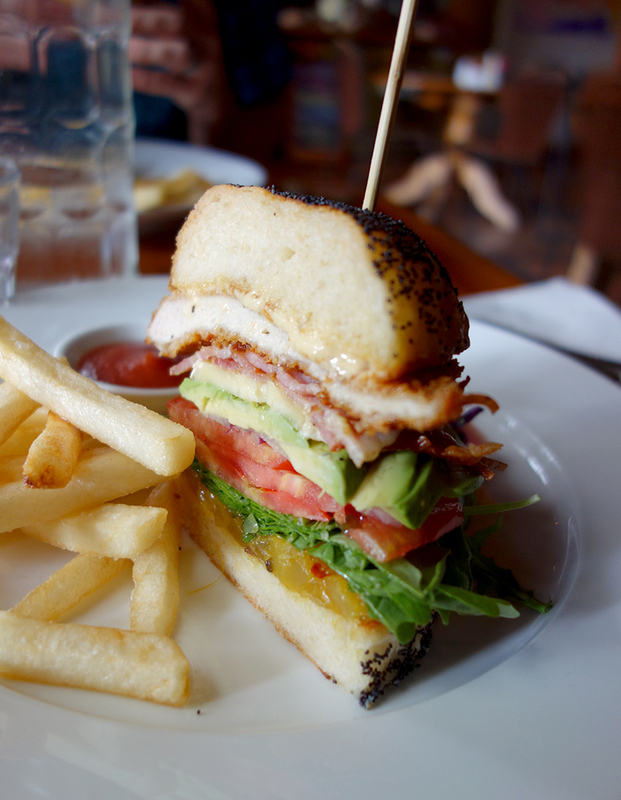 Rob and I shared this a delicious fried chicken, bacon, avocado, local cheese, chutney and aioli sandwich. 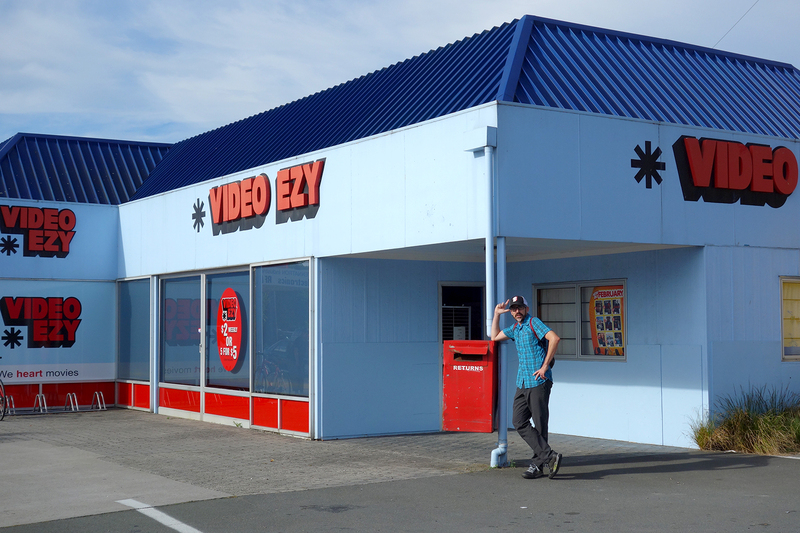 One more proof point of the town’s (and New Zealand’s) retro adorableness is the availability of popular video rental shops. Rob and I would spend the morning through lunch working most days. 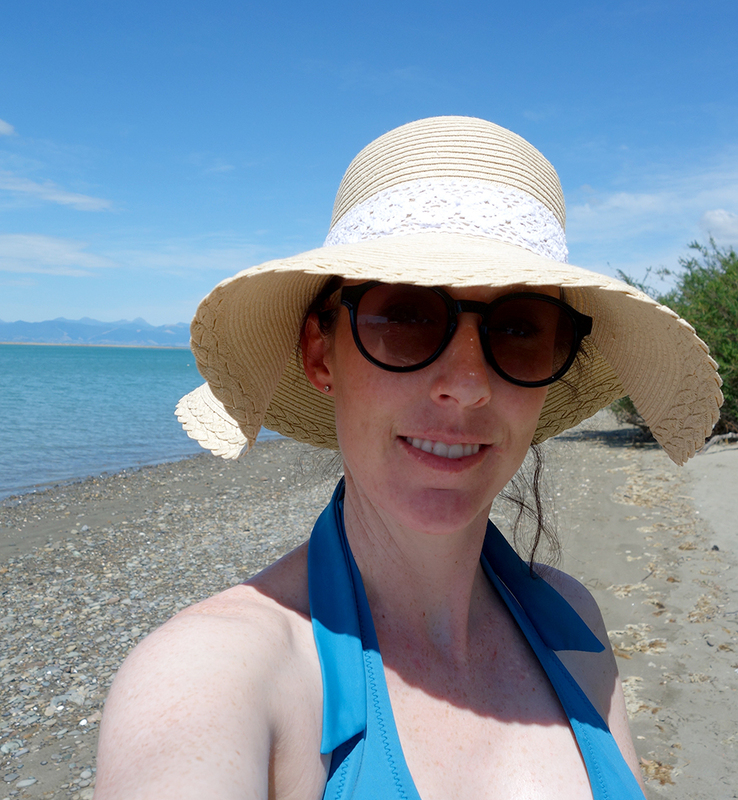 It was pretty warm when we were there (low 80s) and the locals were very encouraging that I take the bump for a daily swim from the beach behind our studio after lunch. There’s also a salt pool just a bit down the road that you can swim in. 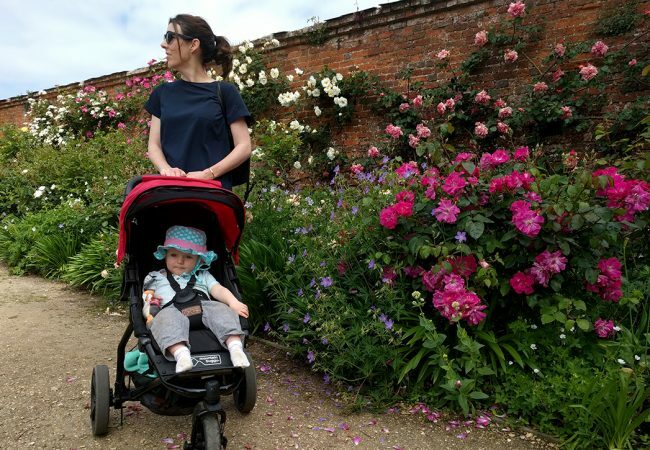 In the afternoons, Rob would take off on his bike along the local cycling trails and I would drive to meet him for an adventure. 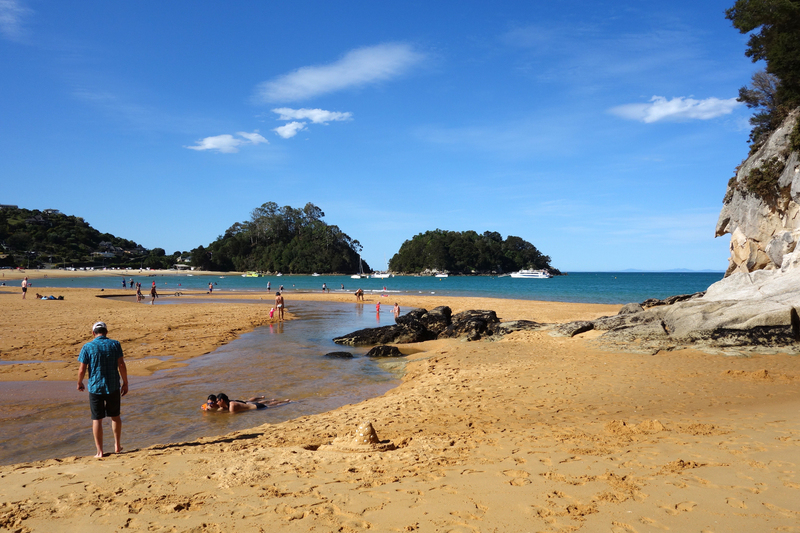 One day, we went up to Kaiteriteri Beach for onion rings and a dip in the warm river water that empties into the ocean here. 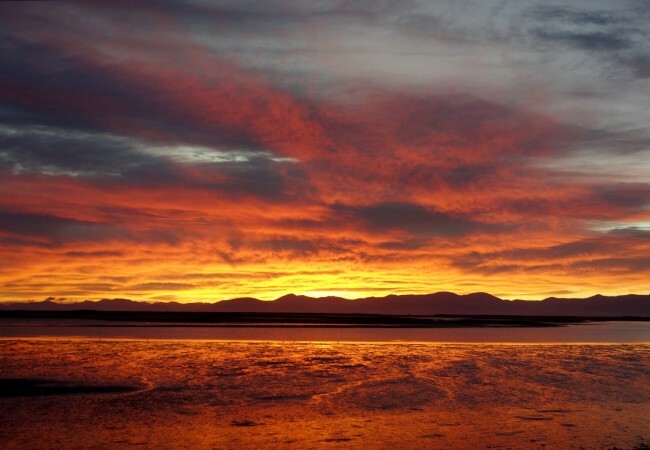 This is the hub for ferry boats taking people into Abel Tasman National Park. 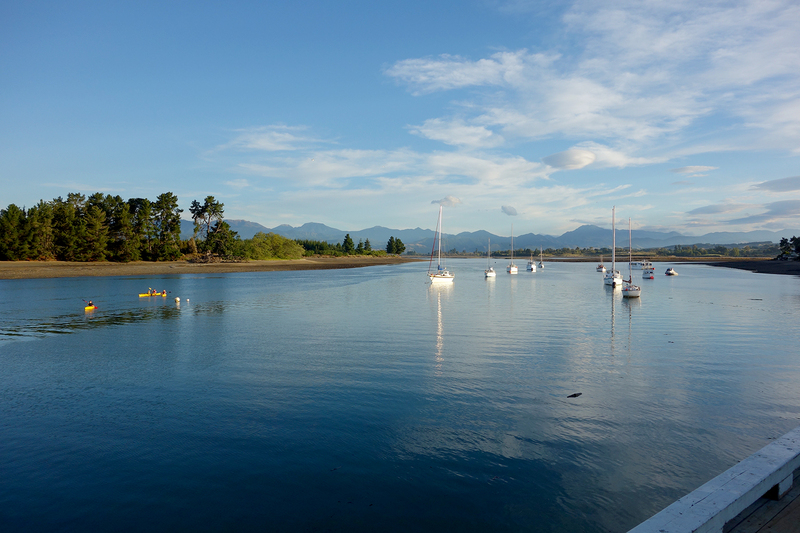 A couple other times, we headed south to Mapua Harbor. 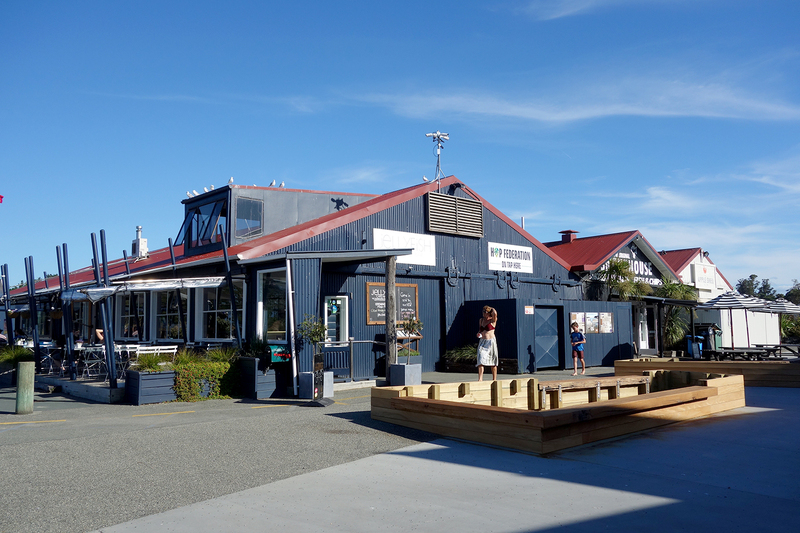 There’s an adorable development of corrugated steel shops and restaurants, including fish and chips, a brewery, a butcher shop, ice cream and coffee. After school, the local kids (and adventurous adults) come to jump off the pier into the channel between Mapua and Rabbit Island. 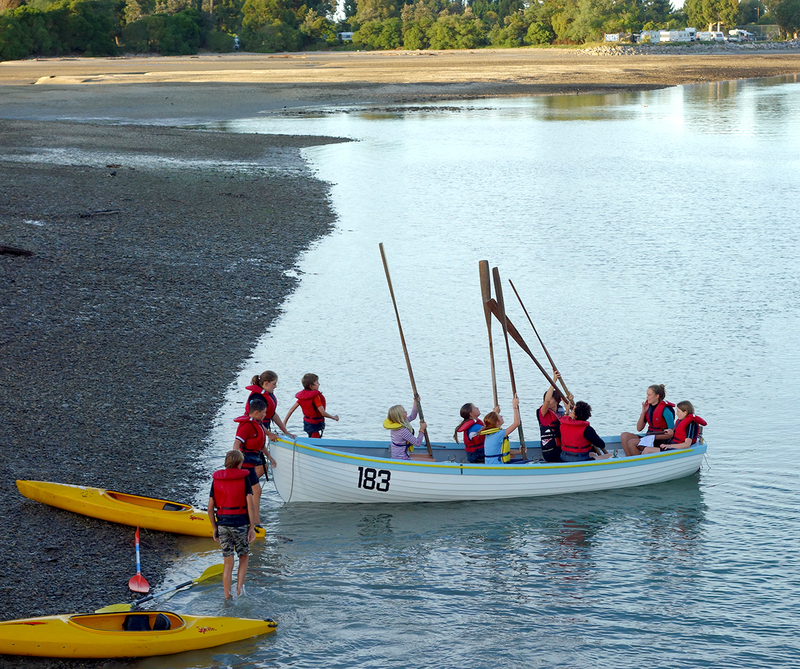 And, if that wasn’t all too cute already, the local Sea Scouts meet in Mapua too. They take out out kayaks, whale boats and laser sailboats in the late evening summer sun. Once again, enjoying your travels from my iPad. Thanks!